A stunning hotel in Chicago’s elite Gold Coast neighborhood, Sofitel Chicago Magnificent Mile exceeds expectations time and again, offering unparalleled amenities and authentic services that will make your stay unforgettable. Sofitel Chicago Magnificent Mile’s in room spa menu offers a variety of services that will relax your mind and body. Unwind with a variety of treatments from Windy City Massage including Massages, Facials, Manicures, Pedicures, all done in the comfort and privacy of your guest room. 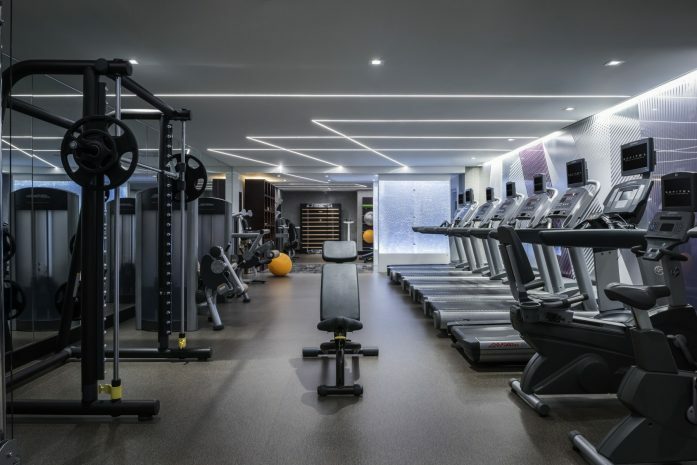 As a guest of Sofitel Chicago Magnificent Mile, enjoy complimentary 24 hour access to our newly renovated fitness center. Our So Fit center includes 12 cardio machines with personal television, TechnoGym strengthening equipment, an ARKE core training station, a Batak Lite reaction training station, free weights and fresh fruit and water. Le Bar – A chic and modern bar featuring an imaginative drink menu and satisfying bites.